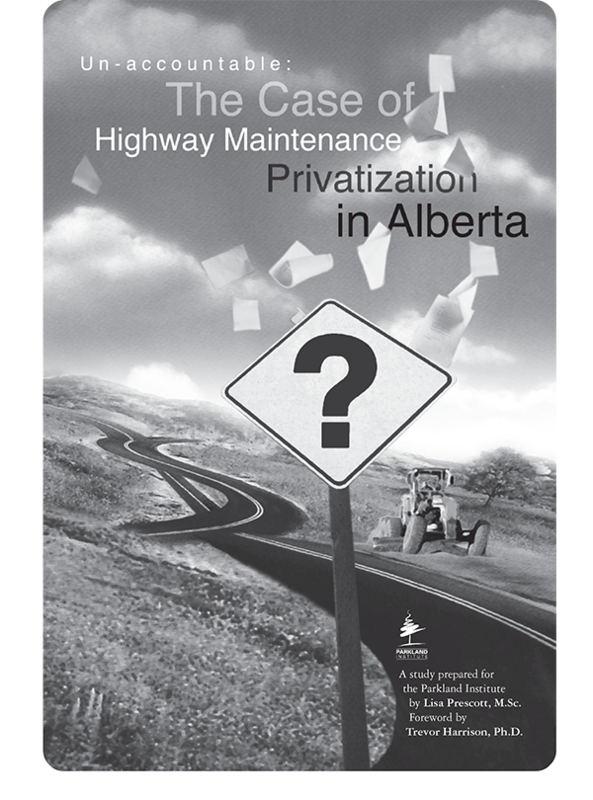 In 1995/96, the Government of Alberta decided to outsource all the maintenance on its 15,000 km of primary highways to private contractors. In 1997, KPMG Consultants produced a study for the Government of Alberta with the intention of comparing the two systems. However, given that the system had been privatized for only one year they found that it was too early to compare the financial results of outsourcing highway maintenance to previous in-house methods. Aside from this KPMG report, neither the government nor any other body has attempted a comparison of the previous government run program with the current privatized system. As it has now been eight years since the onset of privatization, enough time has passed to warrant a comparison. Has the switch to private highway maintenance resulted in lower costs for the Alberta government while maintaining the same level of service? The re-organization of government ministries or their reporting and accounting practices should be accompanied by a document clearly outlining the nature of the re-organization and the steps necessary to make pre- and post-reorganizational comparisons. The rules regulating private contracting by government should make information on contracts as open and transparent to the public as the rules regulating government departments and Crown agencies. In light of these findings, the report concludes that if the privatization of highway maintenance is any example, it appears the government has failed to put in place adequate means for assessing in a publicly accountable manner the success or failure of these experiments.